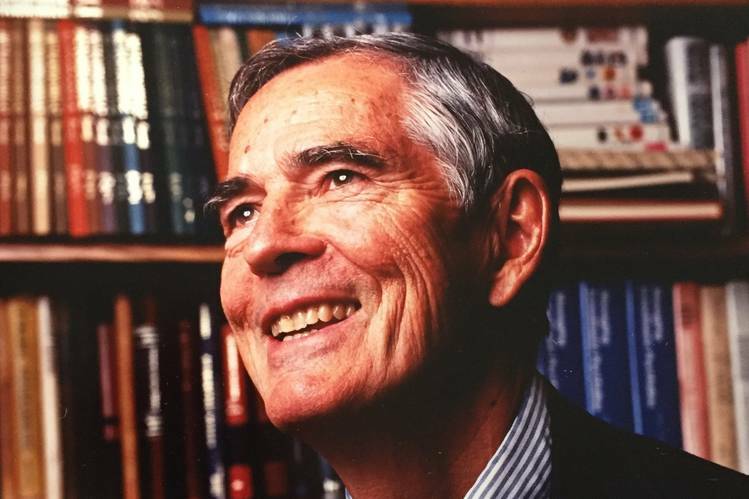 Marshall E. Blume, who served as the Editor of the Journal of Finance from 1977 through 1979, passed away on January 27. He was the Howard Butcher III Professor Emeritus at the Wharton School of the University of Pennsylvania. His career of over 40 years at Wharton included serving as Chairman of the Department of Finance and Director of the Rodney L. White Center for Financial Research. 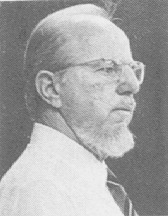 Professor Blume also served as chairman of the Economic Advisory Board of the National Association of Securities Dealers, and he was a member of the Shadow Financial Regulatory Committee, the Financial Economist Roundtable, the Academic Advisory Board of Standard & Poor’s, and the Measey Foundation Board. He was a co-founder of Prudent Management Associates, and he advised corporations such as AT&T, Dresser, and Exxon Mobil. He was widely recognized for his influential work on mutual funds, risk measurement, and the pricing of financial assets. Over the course of his remarkable career, Stephen A. (Steve) Ross made path-breaking research contributions across many areas of finance and economics. His overall impact extends much beyond his exceptional research and includes his influence as a colleague, mentor and teacher of numerous students. Through his involvement in a number of business and nonprofit organizations, Steve was also an accomplished practitioner of finance. Steve was an alert observer of reality and had unusually strong skills to build and analyze models that help us understand the world. Inspired by his study of physics as an undergraduate in Cal Tech, Steve was a firm believer in the scientific method. He was a clear thinker with a deep grasp of economic and statistical modeling and inference. In his research, he was able to provide brilliant insights, often starting with simple examples and then generalizing to get at the essence of the settings he was analyzing. Kenneth J. Arrow, the renowned economist who received the Nobel prize1 in 1972 for “pioneering contributions to general economic equilibrium theory and welfare theory,” passed away on February 17, 2017. Arrow made pathbreaking contributions in many other areas of economics and related fields, notably including social choice theory, health economics, and finance. Jack Treynor was a very important but remarkably modest contributor to modern finance. Early on, he showed a reluctance to take credit for his own innovations. In the late 1950s, for instance, he wrote down the basic ideas of the Capital Asset Pricing Model (CAPM), roughly contemporaneously with Sharpe, Lintner and Mossin, all four of them working independently. Although a draft of Treynor’s CAPM paper was circulated among the financial cognoscenti for decades, he didn’t get around to publishing it for 40 years! Rick was a Professor of Financial Economics and the holder of the Richard M. and Margaret S. Cyert Chair at the Tepper School of Business at Carnegie Mellon University. He was an active research contributor with wide-ranging interests in both asset pricing and corporate finance. He was also a leader in the profession, having serving as Editor of The Journal of Finance (2000-2003), and as president of the American Finance Association (2006), the Society for Financial Studies (2012-2014), and the Western Finance Association (1999). Rick also served a term as the American Finance Association’s representative on the NBER Board of Directors (2003-2006). Rick was an undergraduate at Pomona College, and he received his Ph.D. in finance from the University of Wisconsin. He joined the faculty of the Graduate School of Industrial Administration at Carnegie Mellon in 1982 and remained there throughout his career. In addition to his many external leadership roles, he also served as Senior Associate Dean for Faculty and Research. Rick played a key part in advancing the field of financial economics and he will be deeply missed. 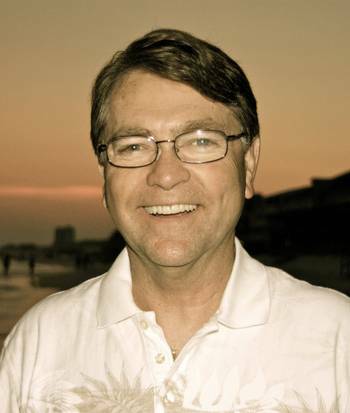 We are saddened to report that Professor Kent L. Womack passed away unexpectedly on August 4th, 2015. Kent was on a fishing trip in the U.S. with one of his dear friends and died in his sleep. Kent held the prestigious Manulife Financial Chair in Financial Services as well as being a Professor of Finance at the Rotman School of Management, University of Toronto. Kent had been a member of the Rotman faculty since 2010 and prior to that was at the Tuck School of Business at Dartmouth, where he built on his experience at Goldman Sachs to become a world expert on the role of equity analysts and underwriting. Kent brought a unique combination of skills to Rotman. Not only did he bring cutting edge finance research and experience into the MBA core, but he also took responsibility for the foundations of integrative thinking course and taught behavioral finance. A true renaissance man, Kent was also close to being a professional athlete in the javelin and was an accomplished jazz pianist. Kent’s academic leadership will be difficult to replace both in finance and the MBA core. On a personal note, Kent was a delightful colleague, who fully participated in faculty activities. His engaging personality, honesty and warmth will be missed by all. To honour Kent’s life and dedication to scholarship, teaching, and academic excellence, the Kent L. Womack Student Scholarship was established by Kent’s family. Christopher Barry passed away peacefully at the age of 65 on December 13th, 2012. He was born on November 5th, 1947 in Blakely, Georgia. He received a B.S. in Industrial Management at Georgia Tech in 1970 and then did graduate work at the University of Indiana, earning an MBA in 1972 and a Doctor of Business Administration in 1973. 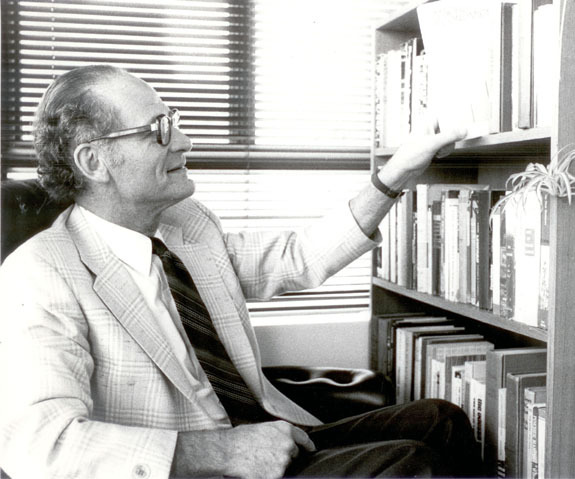 His dissertation under Robert Winkler at Indiana represented a pioneering application of the Bayesian approach to portfolio theory and was published in the Journal of Finance in 1974. His first appointment was at the University of Florida in 1974 and after successive appointments at the University of Texas and at Southern Methodist University where he was Chairman of the Finance Department from 1982 to 1986, Chris joined Texas Christian University in 1988 where he was Professor of Finance and Maria Lowdon Chair in Business Administration at the M. J. Neeley School of Business. Chris served the American Finance Association as Book Review Editor for The Journal of Finance from 1995 to 1999. His early interest in the Bayesian approach to portfolio theory led to a number of important publications. In mid career he became very interested in Spanish language and culture and his research interests shifted to emerging markets, and he has extensively published in this area. He has had an amazing impact on the lives of those around him and has won many teaching awards through his career and in 2006 was awarded the MBA Alumni Professor of the Year Award at TCU. Since 1986 he was a sought after expert witness in securities and business litigation, being identified as a “Selected Expert” by Cornerstone Research. Chris is survived by his wife of 44 years, Gayle, his two children and five grandchildren, and will be missed by his family, friends, colleagues and students. His family have asked that contributions be made to an endowed scholarship fund that has been established in his name at TCU. Myron Jules Gordon, known as Mike to his family and colleagues, died on July 5, 2010 at the age of 89 in Summit, New Jersey. A major leader in the development of modern-day finance, his name is instantly recognized by students and practitioners in finance through the Gordon Growth Model. His model, however, was only a small part of his very important contributions in accounting, economics and finance and their applications in social issues. Mike grew up in Brooklyn, New York. He received a B.A. in economics at the University of Wisconsin (1941), where he developed a passion for that discipline. After serving in the U.S. Army as a 2nd lieutenant during WW II, he returned to study economics at Harvard University where he received an M.A. in economics (1947) and a Ph.D. in economics (1952). He was an Assistant Professor at Carnegie-Mellon University (1947-52), Associate Professor at Massachusetts Institute of Technology (1952-62), Professor at the University of Rochester (1962-70) and Professor at the University of Toronto (1970-85). He was also a visiting professor at the University of California at Berkeley (1966-67), Hebrew University (1973), University of Pennsylvania (1977) and New York University (1985). When he reached the University of Toronto’s mandatory retirement age in 1985, he did exactly what his friends knew he would do: he continued in active research as Professor Emeritus, publishing and representing the consumer interest in public utility regulation for the next twenty years. Information for this obituary was provided by Larry Gould on August 10, 2010. Fred earned his BA in political science in 1937, his MBA in 1943, and his Ph.D. in financial economics in 1948 – all from The University of Chicago. From 1947-1949 he was an instructor then an assistant professor at Chicago. He then went to UCLA as an associate professor, and was promoted to full professor in 1956. Throughout his career, he published over 100 refereed articles spanning five decades of research. He also published over 30 books. His publishers estimate that over a million people have read them. Managerial Finance, first published in 1962, had 9 editions. Essentials of Managerial Finance, was first published in 1965 and by 2001 was in its eleventh edition. Financial Theory and Corporate Policy has been continuously in print since 1979. His research-oriented books reflect his strong interest in industrial organization, especially mergers and acquisition. A partial list includes: Economics of Competitive Bidding on New Issues of Corporate Securities (1942), The Role of Mergers in the Growth of Large Firms (1953), The Scope and Methodology of Finance (1966), Public Policy Toward Mergers (1969), The Impact of Large Firms on the U.S. Economy (1973), Industrial Concentration: The New Learning (1974), Economics of the Pharmaceutical Industry (1982), and The Art of M&A Financing and Refinancing (1999). His influential papers on industrial organization included: “Diversification and Merger Trends,” Business Economics (1970), “Tests of the Efficiency Performance of Conglomerate Firms,” Journal of Finance (1971), and “Conglomerate Performance Using the Capital Asset Pricing Model,” The Review of Economics and Statistics, (1972). Weston’ honors were many. He was President of the Western Finance Association 1962, President of the American Finance Association 1966, President of the Financial Management Association 1979, 1980, Fellow of the American Finance Association and of the Financial Management Association, Fellow of the National Association of Business Economists, 1978 UCLA campus wide teaching award for excellence with doctoral students,1994 Anderson Graduate School of Management Dean’s Special Award for, Outstanding Achievement in Instruction. He was awarded Abramson Scroll Award for the best article in Business Economics: In 1989 for “Strategy in Business Economics”, in 1990, in 1991 for “Some Financial Perspectives on the Comparative Costs of Capital”, in 1992 and 1994, and in 1998 for “Restructuring and Its Implications for Business Economics” Fred had a lasting impact on all of those who came to know him well. He set a standard for hard work and for excellence that we seek to emulate, but most of all he was a humble man who helped everyone he touched. Information for this obituary was provided by Tom Copeland on October 5, 2009. M. Chapman “Chap” Findlay died June 17, 2008 at his home in Los Angeles. He was 63 and died of cancer, which had been diagnosed a few months earlier. Chap Findlay was born on July 16, 1944 in Grand Rapids, Michigan. When Findlay was a young child, his family left Michigan for San Antonio, Texas. Chap earned a bachelors degree, a masters degree, and a Ph.D. from the University of Texas at Austin. During the course of his academic career, Chap served as a faculty member at the University of Houston (1968 – 1971), the University of Connecticut (1971 – 1972), McGill University (1972 – 1974), and the University of Southern California (1974 – 1982), where he also served terms as chair of the department and as executive director of the Center for the Study of Financial Institutions. Chap Findlay was a prolific scholar with roughly 100 articles and books on financial management and analysis, financial theory, investment and capital markets, real estate and mortgage markets, insurance and pension issues, accounting issues, and legal issues. Perhaps the most significant of his early academic work was with Stephen D. Messner on measures of return for real estate investments. The 1970s were relatively early days for computer applications involving finance problems, and Findlay and Messner developed a methodology that they termed the Financial Management Rate of Return (FMRR). The contribution enabled estate investors to more accurately assess the returns on their investments and thus make better investment decisions. Early work in this area was published in “Real Estate Investment Analysis: IRR Versus FMRR”, Real Estate Appraiser 41, July/August 1975. FMRR soon became, and remains, an industry standard. Chap Findlay’s most recent book, Models for Investors in Real World Markets, was co-authored with Ed Williams and James R. Thompson, and was published in 2003 by Wiley-Interscience Series in Probability & Statistics. The text has become a leading reference in the field. In addition to his noteworthy academic career, Chap Findlay had an exceptional career outside of academics. He widely recognized as an outstanding expert witness and provided testimony in nearly 1,000 court cases. He also was co-inventor on a dozen patents. In 1985, Findlay left USC to form Findlay Phillips & Associates, now Phillips Fractor Gorman in Pasadena. During its first 10 years, Findlay Phillips & Associates operated from a suite in California Plaza. While there, Findlay became a co-founding and lifetime member of the City Club. He said it was the only way he could get a good hamburger for lunch without a wait. In his new role outside of academics, Findlay became a preeminent economic, finance, and valuation expert witness in some of the country’s top legal cases. In addition, Chap served as a consultant on numerous special projects related to appropriate government regulation. 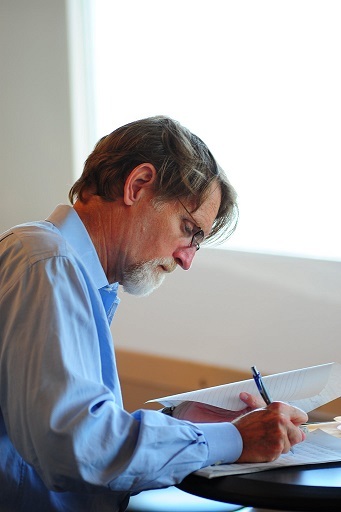 As a consultant to the City of Los Angeles, Findlay undertook a Los Angeles Housing Market Study in which he analyzed the impact of Los Angeles’s rent control ordinance. He was a consultant to the State Public Utilities Commission regarding the appropriate minimum amount of insurance to be held by commercial truckers. In addition, he was part of a team that analyzed the economic impact of landfills on nearby residential property values which became the primary research study in that area. 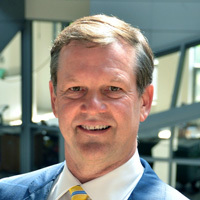 In 1998, Findlay was co-founder of Pasadena’s “Center for Computationally Advanced Statistical Techniques” (c4cast.com, Inc.), which has developed numerous Internet-based investment and forecasting tools, some of which are marketed under the EconomicInvestor and “The Economy Matters” brands. He served as chief financial officer and a director of c4cast.com until his death. Despite the shift to practitioner, Chap was never able to completely walk away from his academic roots. In particular, Findlay became an advisor to the Department of Finance, Real Estate & Insurance at California State University, Northridge. And in this role he filled for over 20 years, Chap served as a mentor for faculty, assisted with curriculum development, and facilitated faculty research. Chap Findlay is survived by his wife Beatrice, a prominent painter with studios in New York and Los Angeles. The family requests that donations be made to these memorial projects. Checks should be made payable to the CSUN Foundation with “Chap Findlay” in the memo field and should be sent to Dean’s Office, College of Business, CSUN, 18111 Nordhoff St., Northridge, CA 91330. In addition, the College of Business at California State University, Northridge is creating the M. Chapman Findlay Scholar Fund, which will award a cash prize annually to an outstanding CSUN real estate/finance graduate. The school is also developing an annual Findlay Memorial Lecture, where a pre-eminent scholar will be invited to speak at CSUN on a topic related to Findlay’s extensive research. Information for this obituary was provided by Phillips Fractor & Gorman.